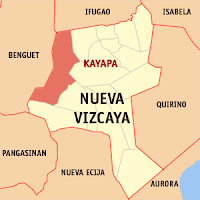 Nueva Vizcaya Information Seminar | Live and Work in Canada - Gateway to Canada | Canada Immigration Consultancy! Canadian Immigration Consultancy will be in Nueva Vizcaya this coming October 20, 2012 to conduct an information seminar for those interested to live and work in Canada! Find out how to live and work in Canada the right way. Attend our seminar schedule! If you are between 21-40 years old, College graduate and with at least one year experience in any of the following job classifications, you may be eligible! Brgy. Sta Rosa, Bayombong, Nueva Vizcaya. Don't miss this once in a lifetime opportunity. See you there!